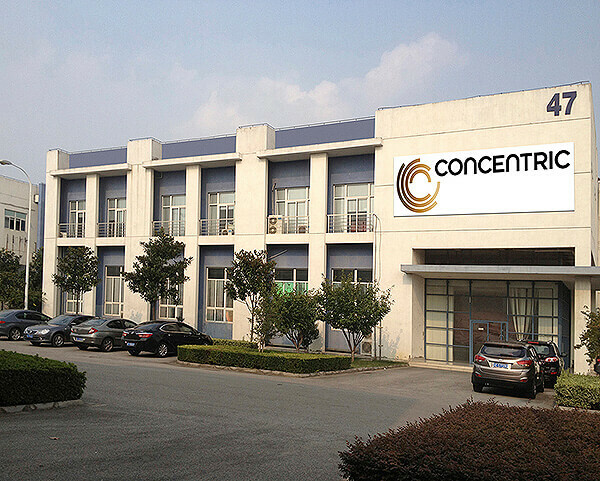 Concentric operates a wholly-owned subsidiary in China. The first full-scale manufacturing facility was opened in Suzhou in 2006 and is producing oil and water pumps for medium and heavy diesel engines. The company has an established network of suppliers in China that supply to both its western operations and to the Suzhou facility. The plant also produces Concentric branded power packs, the first hydraulic product to be manufactured in China. They are assembled and tested in Suzhou to the same specifications as used in the Rockford and Hof facilities. Like all Concentric-branded power packs, they are tested for proper coupling engagement, balanced motor armature, amp draw at key operating points, and flow at specified pressure. Hydraulic gear pumps will be the next Concentric-branded product to be manufactured in China. The Suzhou facility is supported by a dedicated team of hydraulic product salesmen who have a solid knowledge of the mobile equipment market and customers.